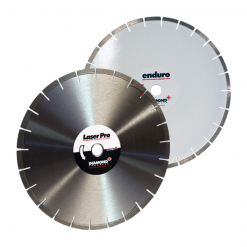 Diamond Saw Blades are steel cores/bodies that have diamond segments laser welded onto the edge of the body. We make up the diamond segments with impregnated dispersed diamonds through a metal matrix. In short, this is known as the bond. 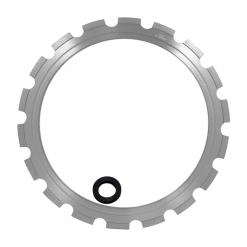 In addition to this, we take a considerable amount of care in manufacturing diamond segments with the various materials in mind that need to be cut. Due to the fact that quality is as equally important to us as is the best technology available, we invest in high quality industrial diamond. We do this so that we are able to offer the best quality product at the best price. 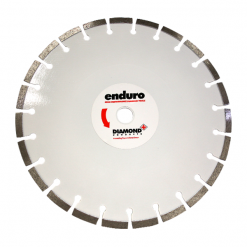 Uniquely designed we manufacture the blades in a variety of different configurations to cut the variety of different materials. 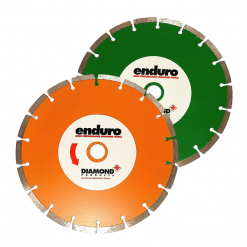 We offer diamond blades in a segmented, turbo and continuous rim configuration. 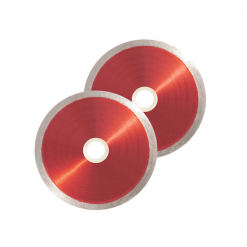 Of course when we design these blades, we also keep in mind what blade would be best suited for which machines. 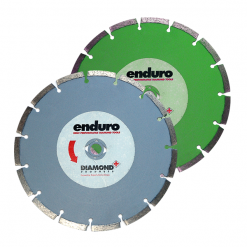 Therefore we also design diamond blades for different types of power driven machines and equipment. 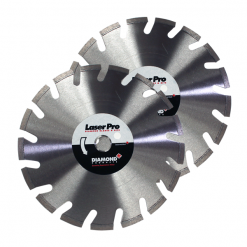 In light of this, we recommend diamond blades for any angle grinder for faster and more economical cutting. Concrete, Cured Concrete, Reinforced Concrete, Precast Concrete, Prestressed Concrete, Screed and Green Concrete. 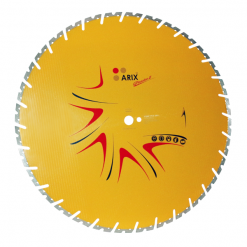 Not sure if this is the right blade for you? Click here!